Happy 1st Carniversary to my wonderful car. A year ago, I purchased a Mountain Air Metallic beauty (she has a mixed color of blue and green, depending on the lighting, hence the “Mountain Air” name), and appropriately named her “Mirage” (pronounced with a French accent). 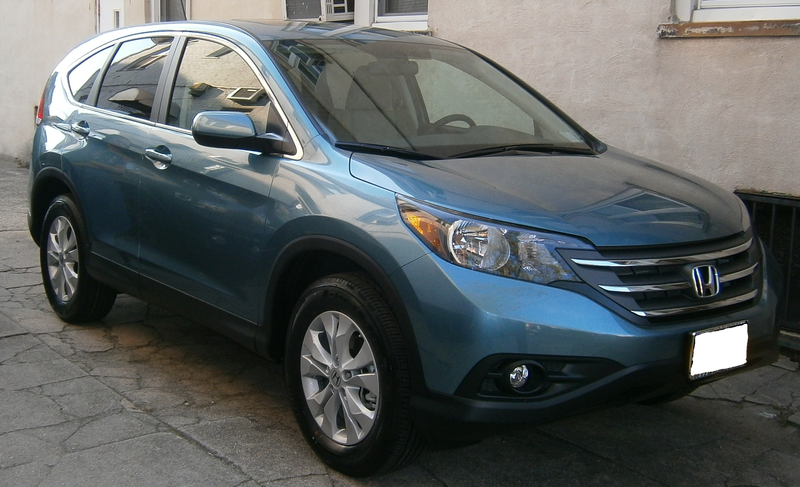 After one year, here are some of my thoughts on the 2013 Honda CR-V EX. It has a beautiful design, although it would be nice to be able to open my windows after it rains, without all the water from the roof running down straight into the car. The cooling/heating system is a little weak. Yes, I know, I didn’t get the Dual-Air, but the front row should be able to not be freezing (or boiling) when the system is on full blast, and not making a dent. Headlights are supposed to be bright. These ones are not. Whether it’s because of how they are positioned, or maybe they just aren’t strong, but on a dark road at night, they don’t do much to help you see. The only saving grace, is using the fog lights during a blizzard to help cut through and see what’s on the road ahead of you. Spacious = This car. Whether it’s the comfortable spacious seats, or the gigantic trunk space, there is lots of room in this car. While the actual SUV doesn’t seem larger than a standard car, you open the back, and there is a great amount of space to put things, even without folding down the back row. Driving in NYC, Gas mileage becomes an issue, as you are constantly in a state of starting and stopping. I’ve talked to other people, who say their cars get 9.6MPG in the city, it makes me very happy with the 18MPG that I get on the city streets. On the flip side, when I hit the highways, especially with the ECON Mode turned on, I’ve gotten as good as 33MPG (over a 70-mile short trip), and I’m averaging 21MPG overall since day 1 (approximately 8300 miles covered).